A little while ago we told you about the Malaria No More album with the likes of Peter Bjorn and John, The Grates, and The Walkmen. Well, it looks like the artists have really stepped up to the plate now with auctions to further benefit fighting Malaria at www.charitybuzz.com. 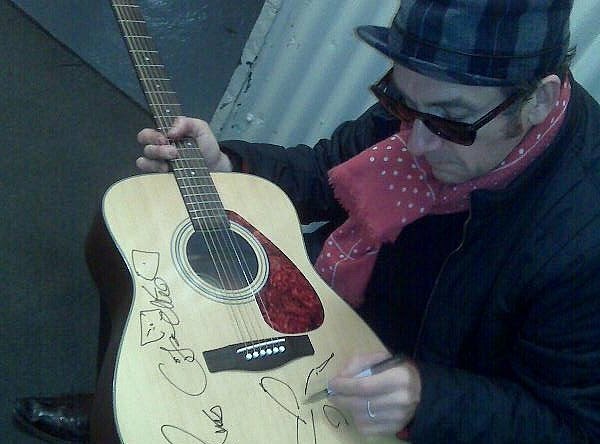 Specifically, check out auctions from Steve Vai, Third Eye Blind, Elvis Costello, and Carlos Santana. Auctions end on June 16, so get your bidding on now!